Home Blog Does Cardio Make You Lose Muscle? The distinction is important because of the different goals each style of exercise is most commonly used for. Weight lifting is typically used to gain muscle mass, while cardio is best known for its benefits to weight loss. But what should you do if you want to build muscle and burn fat? Is it possible to slim down without sacrificing hard-earned gains? The short answer is yes. Look at any professional bodybuilder and the results speak for themselves. But integrating the two training styles together into one program is anything but simple. For starters, doubling up on your workouts adds more volume with less time for your body to rest and recover. Since these periods of rest are when the growth happens, it stands to reason that less rest equals less muscle. Other factors to consider are: the type of cardio, the intensity of the cardio, and the time between your cardio and weight training workouts. One University of Tampa study compared cycling to running and found that running caused far greater declines in muscle growth. Another 2009 study found that even walking uphill had a detrimental effect. This is likely due to the difference in impact each exercise has. Cycling is mainly a concentric movement that causes little damage, whereas running causes a lot of muscle damage, making it harder to recover from. 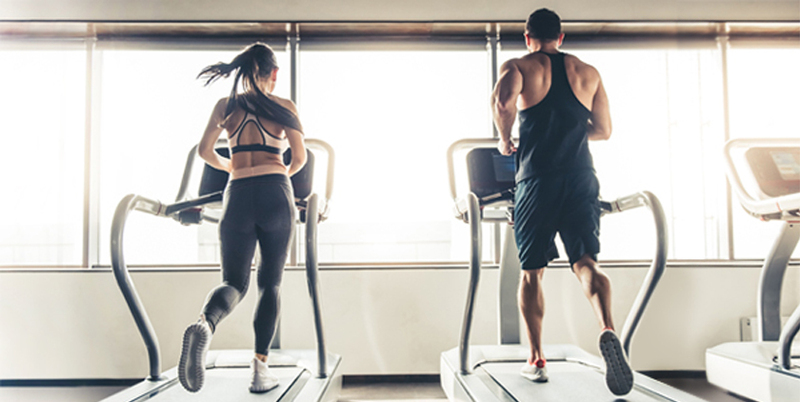 In general, daily cardio sessions simply burn too many calories to allow you the surplus you need for muscle mass, and the same can be said for sessions that last 45 minutes or more. The University of Tampa study observed that the longer someone did cardio per day, the greater their losses in muscle mass. However, when the cardio was kept to less than 20 minutes per day, the decreases to muscle and strength were minimal. Now, you’ve likely heard of bodybuilders logging hour after hour of low-intensity cardio on the StairMaster to great effect. It’s true – low-intensity cardio can help you lose fat. But unlike the professionals, we’re guessing you don’t have all day to spend in the gym. If you want to reach your goals more efficiently, we recommend adding high-intensity sprints to your routine three times a week. Cardio is mostly a leg workout, so try not to overlap with your leg days. Your body will need time to recover, so make sure the two workouts are separated by at least 24 hours to prevent muscle loss. In addition, choose the time of day you work out wisely. Fasted cardio is popular for its fat-burning benefits, but working out before breakfast can cost you. After a full night’s sleep with no food, your body is already in a catabolic state. Working out instead of eating forces your body to search for alternative sources of energy, and typically it turns to muscle as fuel. If you’re one of those crazy morning people who can’t wait to jump out of bed and into the gym, there is a way around this catabolism. Supplementing with BCAAs provides your body with the energy it needs to fuel your workout, effectively protecting your hard-earned muscle and promoting fat loss. In conclusion, yes, cardio can result in muscle loss. However, with these considerations in mind, the weight training + cardio combination is one of the best ways to build muscle and lose fat at the same time.